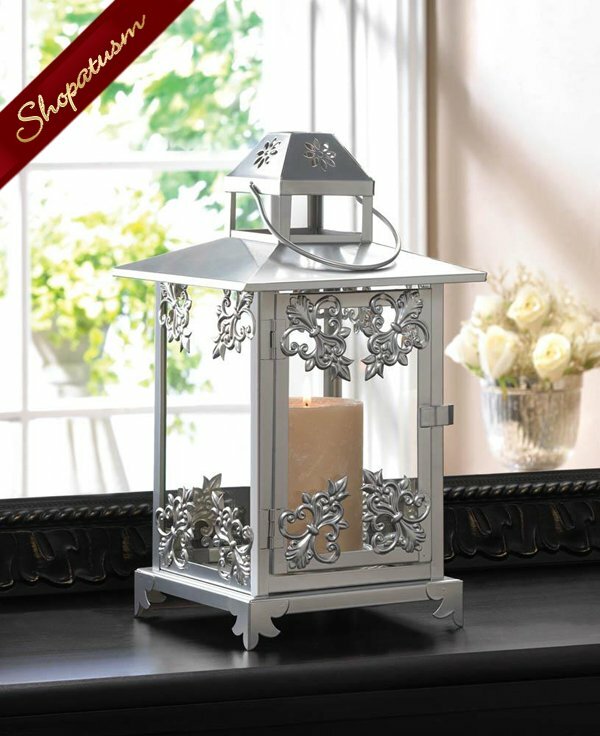 This is for an elegant silver finish scrollwork candle lantern centerpiece from Shopatusm. Gleaming silver finish and graceful scrollwork lend old-fashioned opulence to a classic candle lantern. An elegant decoration to enjoy, night and day! Also makes an artistic display for your favorite small houseplant or miniature figurine. Handle at top for hanging. Iron and glass. Candle not included. 7 1/4 inch square x 15 1/2 inch high.